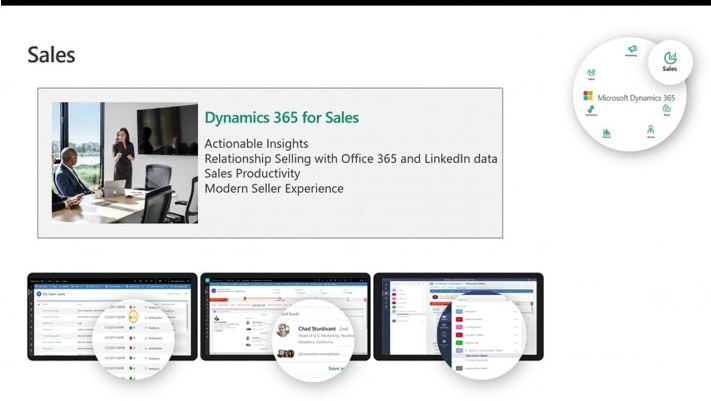 Dynamics 365 AI for Sales: Helps salespeople prioritize their time to focus on deals that matter most, offers a detailed analysis of the sales pipeline, and surfaces insights that enable smarter coaching of sales teams. 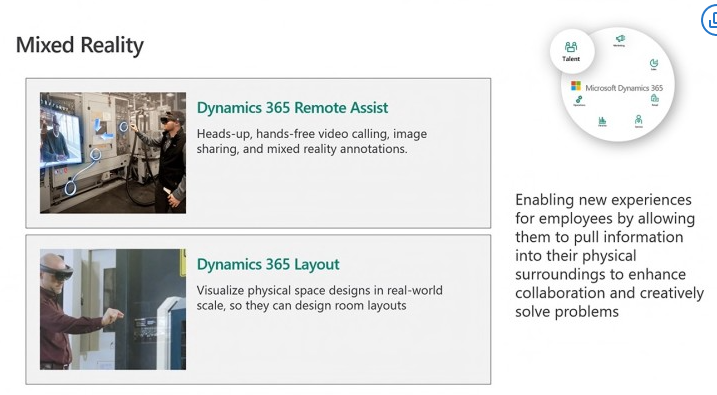 Dynamics 365 AI for Customer Service: Surfaces automated insights that help guide employees to take action and leverage virtual agents to help lower support costs all without writing any code. Dynamics 365 AI for Market Insights: Helps empower marketing, social media and market research teams to make better decisions.